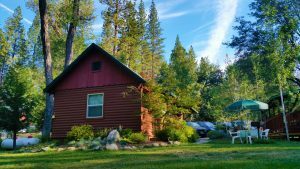 The Yosemite Riverside Inn is located just outside Yosemite National Park making us a perfect Yosemite National Park lodging choice. Our several lodging choices include standard rooms, luxury suites, and cozy cabins. Our variety of lodging choices is what sets us apart from other Yosemite National Park lodging. Reserve your stay with us and enjoy all that the park has to offer as well as access to all the great features on our property. Go fishing or swimming in the trout stream right behind our property. Take a stroll down the street to the three beautiful Cascade waterfalls. Try hiking, horseback riding, fishing, rafting, and site seeing alongside the spectacular collections of waterfalls, meadows, and forests. Venture into the park each day for breathtaking scenery and adventure. You will never run out of things to do in Yosemite. It’s time for you to truly experience Yosemite National Park. Let us be your Yosemite National Park lodging and provide all your vacation needs with our affordable lodging and great location. You’ll be sure to have an unforgettable fun-filled family vacation when you make us your lodging choice.